"Very friendly staff, hotel is directly on the beach, good br..."
Have a question for Kohkwang Seaview Resort? "Amazing sunset from here, pick seaview room." "Breakfast was basic, but enjoyable- especially since you take it with a beautiful view." "Everything is fine for us stayed 10 nights." "If u need calm, seek this hotel." Well-positioned in Klong Muang, Kohkwang Seaview Resort is the ideal point of departure for your excursions in Krabi. From here, guests can enjoy easy access to all that the lively city has to offer. With its convenient location, the hotel offers easy access to the city's must-see destinations. 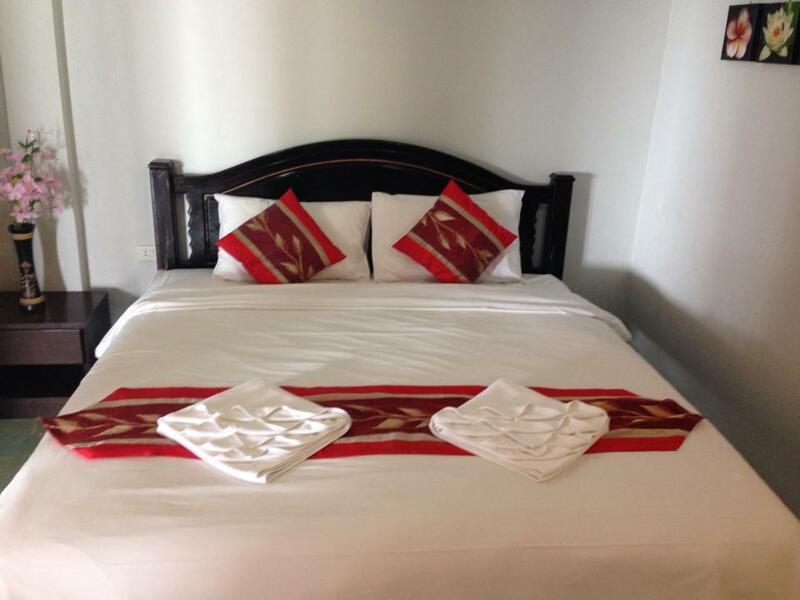 At Kohkwang Seaview Resort, every effort is made to make guests feel comfortable. To do so, the hotel provides the best in services and amenities. For the comfort and convenience of guests, the hotel offers free Wi-Fi in all rooms, 24-hour front desk, Wi-Fi in public areas, car park, tours. In addition, all guestrooms feature a variety of comforts. Many rooms even provide television LCD/plasma screen, mirror, towels, closet, internet access – wireless (complimentary) to please the most discerning guest. The complete list of recreational facilities is available at the hotel, including private beach. With an ideal location and facilities to match, Kohkwang Seaview Resort hits the spot in many ways. "Rental of moped from owner was easy and stress free, providi..."
I arrived at Seaview to find that they had received no word from my booking agent of my arrival. I know this as I was shown their list of pending guests, I was not on it. The ladies of Seaview were very concerned, I could see it in their faces and felt from the start that they genuinely wanted to do right by me. I went for lunch and when I returned they asked me to get in their car as my room was ready, but it was in another building at the other end of the beach. They had found me a room in another, very new modern hotel, and they were awesome! I was disappointed that I did not get to stay with them as I had been looking forward to it, but they made sure that I had all of the same beach experiences that they could have offered, despite a mix- up on the part of someone else, not themselves. That is a business with integrity and business ethics. They were gracious and kind, and yes, I recommend staying with these ladies (and the beach is gorgeous!). Thank you, Seaview! First I need to stress we didnt get to stay at the hotel becos the owner didnt realise we booked seaview. They recommend us to stay at their other hotel which is brand new and very nice furnished. However that hotel is across the road so not what we wanted which is sea facing beside the beach. For that reason we have not rating this hotel highly. Additionally this hotel Kohkwang is actually quite old and in need of refurbishment. It is more of a homestay type or motel and not a hotel in my opinion. The owner and staff seem friendly and helpful. It was also a blessing to we got transferred to the newer hotel since that's what we envisioned in the first place. The location is very peaceful...hardly any other tourist or locals...water not bad but lots of stones or rocks or dead corals. If u need calm, seek this hotel. Amazing sunset from here, pick seaview room. Cheap food stall go left from hotel, there a muslim stall...nice n cheap local food. Had one of the best sunset view in my life. Beach not suitable for swim though. Good sea view near lobby,we booked standard room quiet basic one with no view or balcony ,breakfast is good,staffs are very helpful ,it’s a small hotel kind place.overall nice place to stay. The two women running the hotel are fantastic, rooms with sea view are recommended, service is top, breakfast is good. Location at 7 miles from Hong Island, 15 km from Ao Nang and 30 km from Krabi town worked perfectly for us. Above all, the two ladies are very friendly, they will do anything they can to help their customers. Great place ! 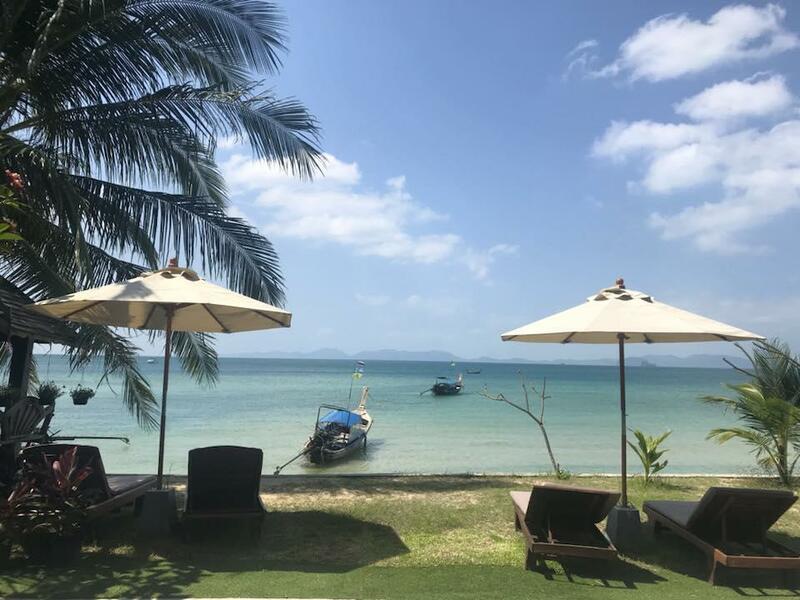 Koh Kwang Seaview Resort was the absolut highlight of our two week trip to Thailand. The staff were all so kind and accomodating. We felt so much at home. We got to stay in the only ground floor seaview room and it did not disappoint. The room was plenty big and I loved the layout. The only negative comment I can think of is the remote of the A/C was broken, so we had a bit of a difficulty trying to find the right setting. Location wise it was perfect for the restaurants on the Klong Muang Beach, it only took 5 minutes by foot. We are very much hoping to return again next time we plan a visit to Thailand. 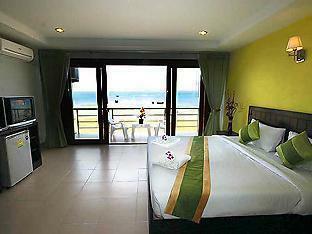 Very clean and fantastic seaview room, friendly staffs, rich breakfast. Everything is fine for us stayed 10 nights. Happy New Year and see you next year! The view is really the main feature here and what you pay for. Swimming is OK, depending on the tide. Decent breakfast and very friendly and helpful staff. But as so often in Thailand, a lack of maintenance. Ceiling leaking, lights not working, fixtures hanging loose, etc. No complains, it was easy enough to get a cab from the airport, and the guesthouse arranges one if you need a return. Clean rooms, simple breakfast included. For this price in the middle of an upscale part of Krabi, this is excellent. Gave it only 4 stars for facilities because more deck chairs would be nice. Really surprised at how amazing this place was considering some bad reviews! Location was literally unbeatable! Earlier this year we stayed at a much more upmarket and expensive place and it was not at all better than here. Value for money was amazing! Really great sized room with balcony! I would advise to upgrade for a small price and get a Seaview room. That is what made it extra special! I took the seaview room and it was perfect! I wake up to the beach right outside my balcony. Balcony was big enough for 2 people comfortably to enjoy the sound of the waves at any time. Staff were polite and the resort was close to minimart, restaurants and massage places. Great place on the quiet beach in krabi! Really great value too! location, price, and friendly welcoming staff. Our stay as business travelers was good, the staff were super friendly and very laid back, the view from my room of the ocean was amazing and we were just a step away from a quite beach. The rooms were just average for a budget hotel a little run down, the breakfast was a bit too simple and for the price I have had much better but I guess you kind of pay for the beach front view and central location. Staff performance, cleanliness, location on the beach. We had an excellent stay at Kohkwang Seaview! The location on the beach is excellent and there are a many restaurants easily within walking distance of the resort. The staff was very friendly and willing to help us with anything we needed. They even let us borrow a motorbike for a short trip to the 7/11 which was a little farther than we wanted to walk! Very nice if you want to be away from the busy beaches. Very nice staff working hard to make your stay enjoyable.